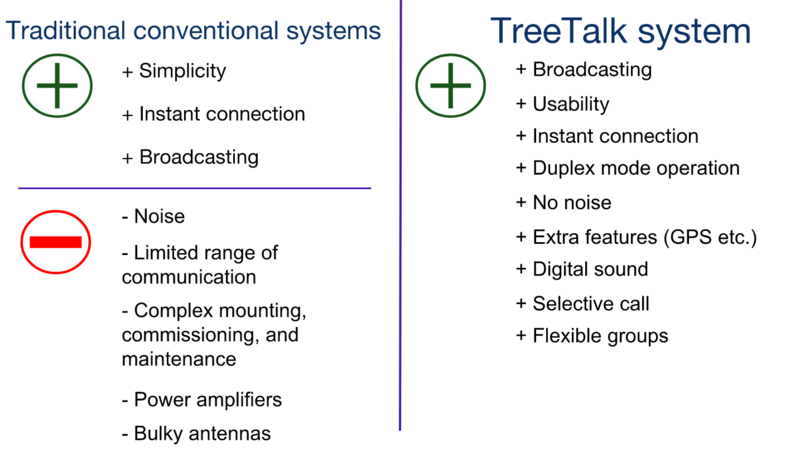 TreeTalk is a startup, in which hardware, software and telecommunications become fused. In a nutshell - we are building a new global Telecommunications ecosystem that works under the paradigm of constant connection and instant voice calls. First underlying idea that we follow, developing our system, is that of people, from the ancient times, always need the means of communications that work in the instant-call paradigm (instead of session-mode paradigm used in telephones and numerous messengers). We are going to revolutionize the industry of two-way radios and other analog real-time audio devices, just like an iPod in its time has revolutionized the industry of music players: we are digitizing the technology and moving it into the cloud via the Internet. Video, clarifying the TreeTalk device, software and infrastructure in 1 minute. (YouTube, in English). PowerPoint Presentation of TreeTalk (.pptx, 18 slides, in English). PDF Presentation of TreeTalk (.pdf, 18 slides, in English). Presentation of TreeTalk on SlideShare (18 slides, in English). 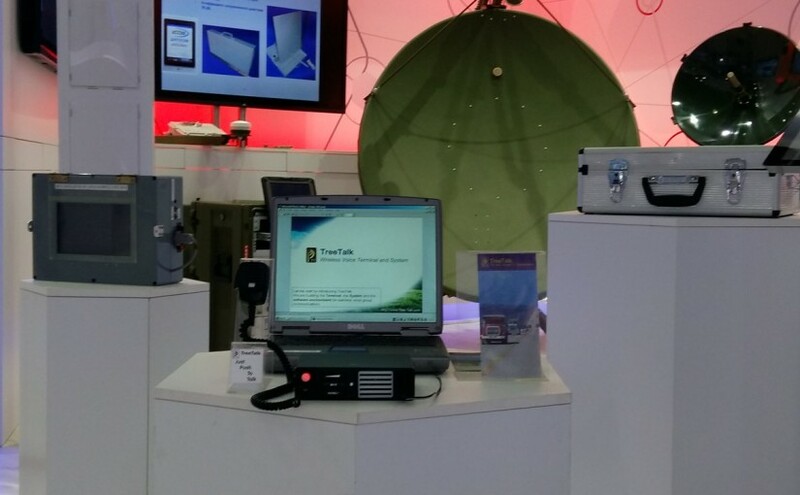 These are the Terminal, the System and the software environment for real-time voice group communications. As a matter of fact, we are creating a new class of mobile devices and a new global communications ecosystem in order to replace outdated Land Mobile Radio transceivers. 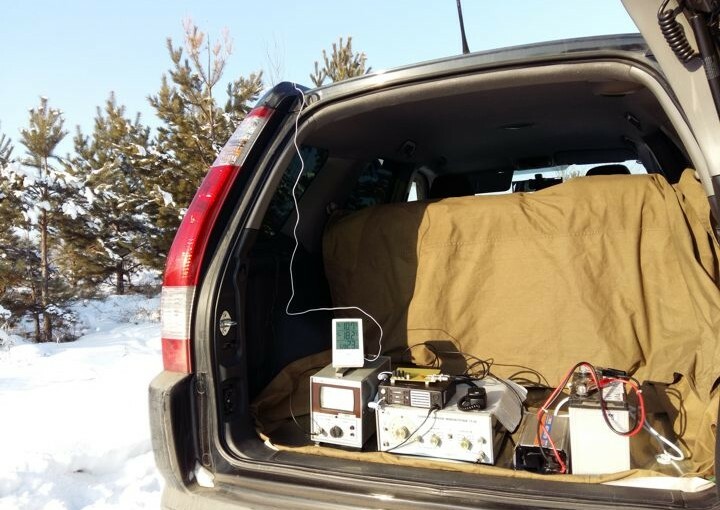 Usually, those, who seek a real-time voice connection, mostly use analog conventional and trunked radio, which have a number of flaws, such as a limited range of communication, a need for power amplifiers and bulky antennas, an unstable signal quality, and so on. It allows you to broadcast. It provides an instant connection. It's easy to use. Push one button and talk. Our product inherits advantages of LMR/PMR, avoiding their flaws. We have made sophisticated embedded software to digitize and compress speech and to transmit it through existing wireless data networks without loss. So our all-purpose system has more features, but is many times simpler and cheaper for users. It saves the time, and eliminates extra expenses. 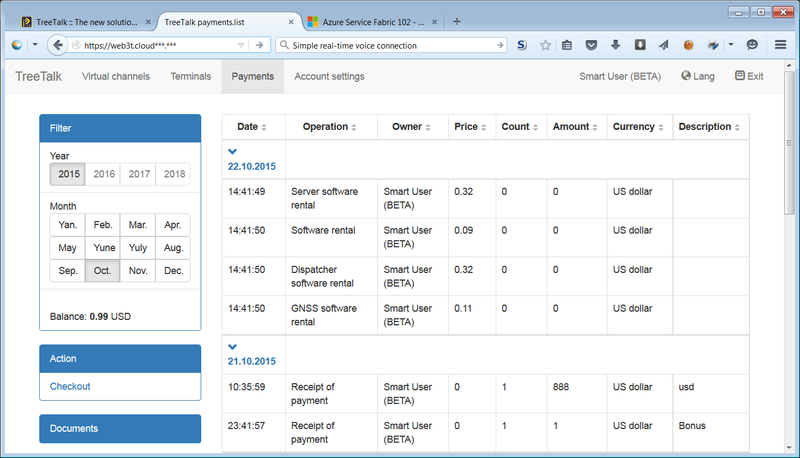 TreeTalk Intercom is another example of digital device that works on the TreeTalk universal platform. 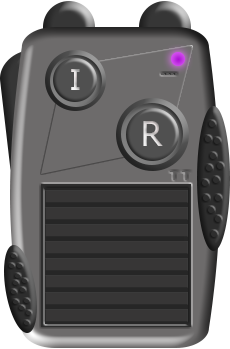 It instantly transmits and receives voice information in the groups with possible topology of the "star" type, with the dispatcher's computer in the center. TreeTalk Intercom does not require the laying of cable communication lines, does not need a hardware control desk, switches or commutators. 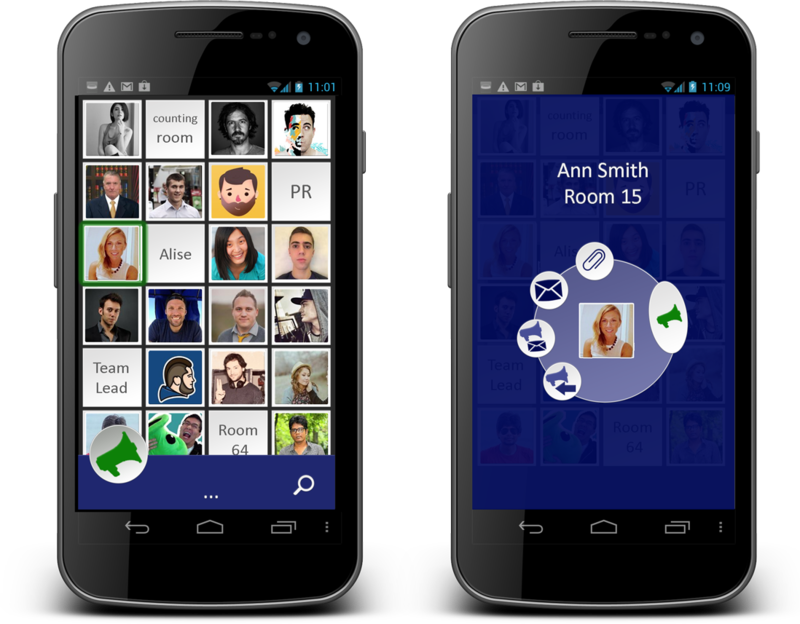 It provides a digital speech quality and has additional useful features. Here is the video, clarifying the TreeTalk device, software and infrastructure in 1 minute, in English. 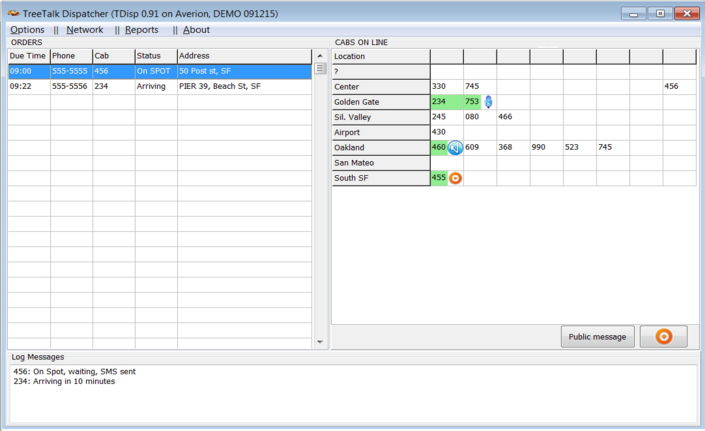 Dispatcher's app combines the standard functionality for orders handling with new voice functions. Just push the 'Public Address' button and the entire group will hear you. 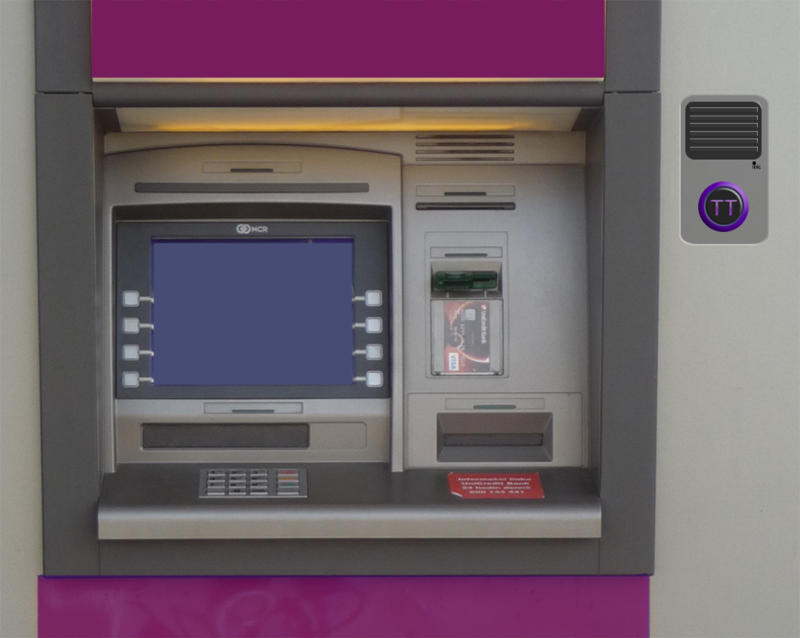 ...for ATM, Parking Meter, Self-service Kiosk, etc. Knowing the location along with the constant voice contact - often it is what is needed while hiking, hunting, and other outdoor activities. 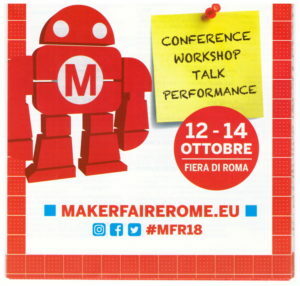 We became the finalist of the Call4Makers competition in the Innovative Projects category and presented our promising products at the at Maker Faire Roma 2018 – European Edition, Regione Lazio stand. 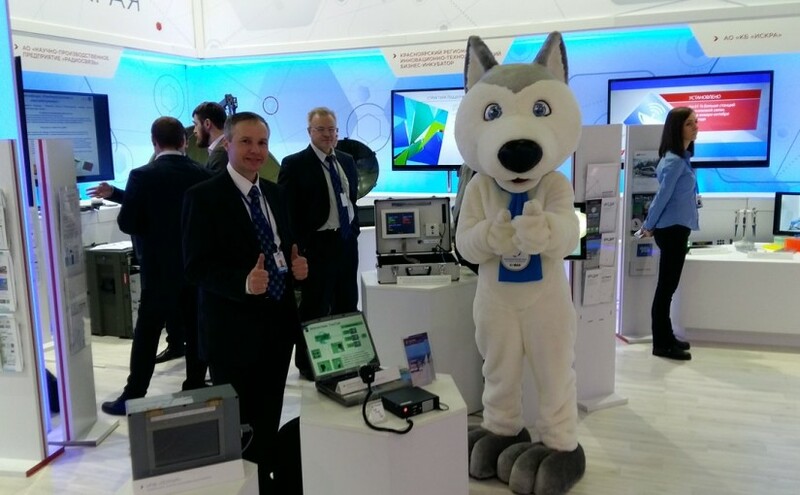 There TreeTalk has demonstrated the working prototypes of devices, software and cloud system. 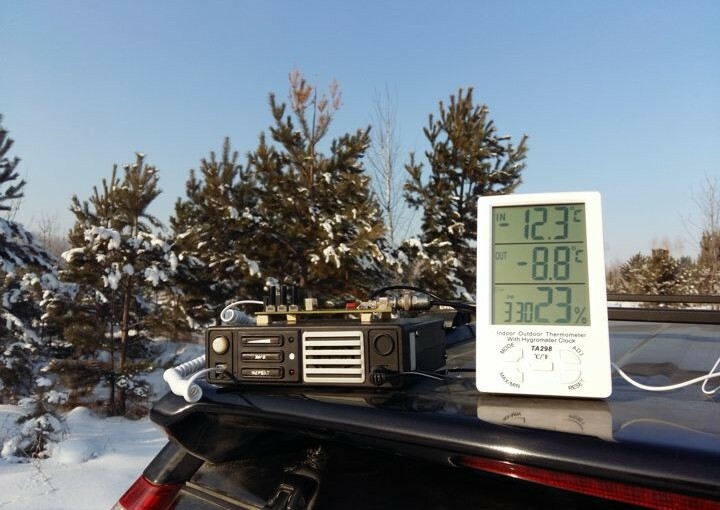 We tested our very first prototype in the really harsh conditions of Siberian winter. Now we have reincarnation number 3 of that prototype, and it's time to trial it under the Southern sun. The conditions appear harsh enough, too, but in the opposite sense. The terminal was subject to temperature extremes up to +55 Celsius (131 Fahrenheit). Reports From the TreeTalk Road Tests. 2017. First trial run confirmed all of the declared advantages of TreeTalk solution. 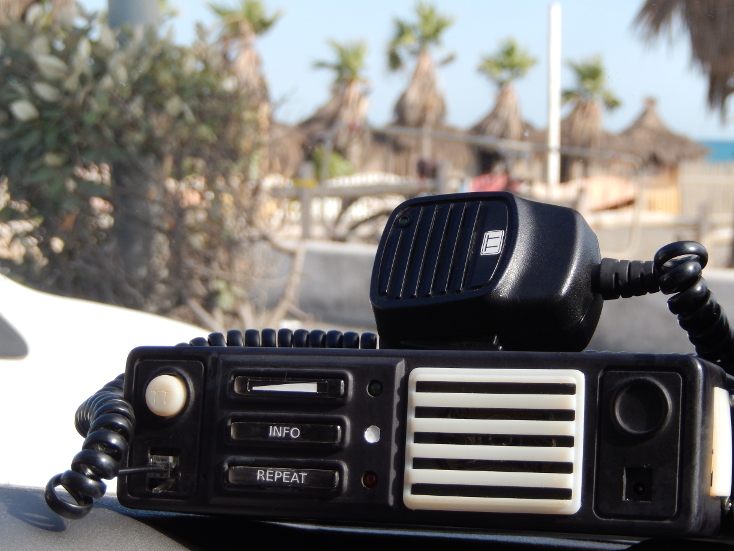 Yes, TreeTalk communicator still looks like a professional (conventional or trunked) two-way radio. It inherits the pluses of LMR/PMR: broadcasting, constant connection, instant calls, and simplicity. Additionally, TreeTalk adds its own features. 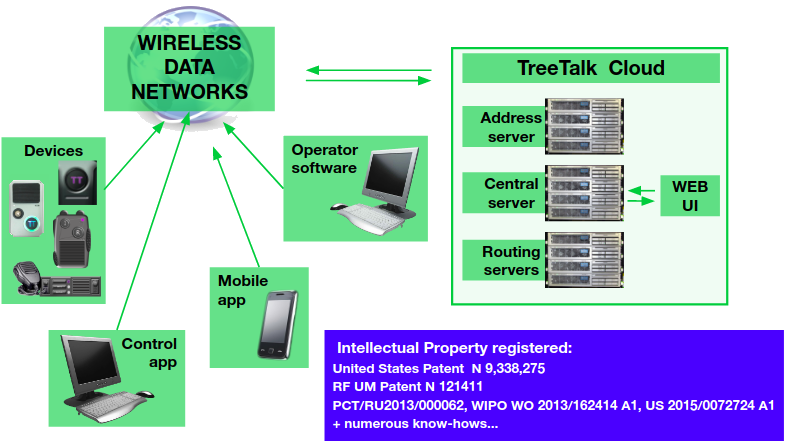 United States patent N 9,338,275 was issued for our invention (TreeTalk Terminal and Network). We consider it as an additional sign of innovative level of our product. Special thanks for the neat and fast job to our patent attorneys - Patent Hatchery LLC (http://www.patent-hatchery.com)! 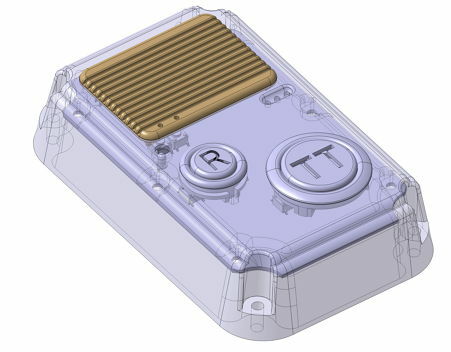 TreeTalk has conducted the regular field tests of the voice terminal prototype. Current testing has been specially planned for the winter period and held in harsh conditions. 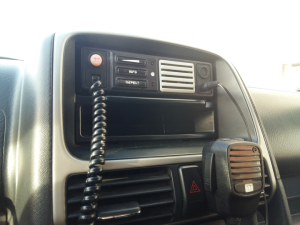 However, most of the tests completed successfully, clearly confirming the advantages of the TreeTalk terminal in the reliability and quality of the voice, as well as in the convenience of handling over conventional and trunked radios.